Let you guess what Bangkok Heightz is? From its name, you may already know it is a place on a high level of a building; you may also know it is a place in Bangkok. 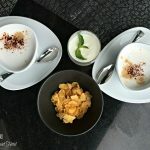 You may not feel surprised to know that it is also a sky bar, but I am sure you will be amazed that it is a Thai restaurant. 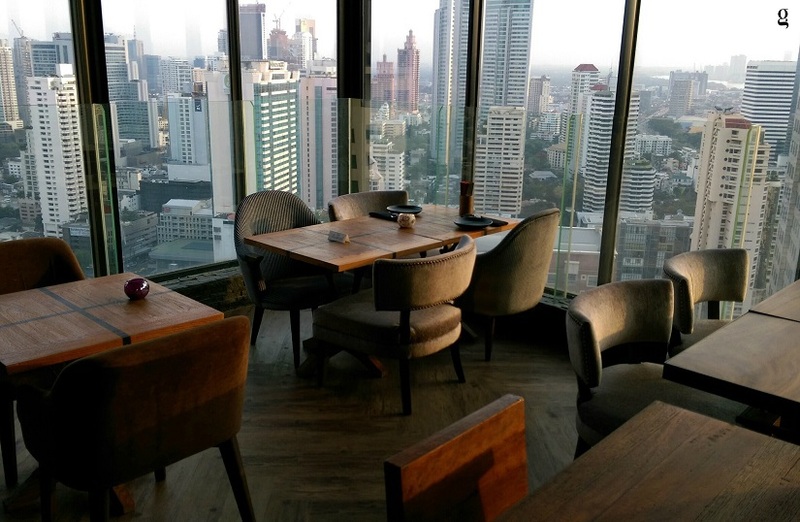 It could be my own ignorance, but I really can’t think of any authentic Thai restaurant that is located on a high floor offering spectacular bird’s eye view of the city centre in Sukhumvit area and magic moments of sunset. Bangkok Heightz combines the charm of authentic Thai cuisine, magnificent city view and innovative Thai-culture-inspired cocktails, it is a brand new Thai restaurant opened recently at The Continent Hotel, which has received, not long ago, the World Luxury Restaurant Award 2016 and Thailand’s Leading Boutique Hotel Award. 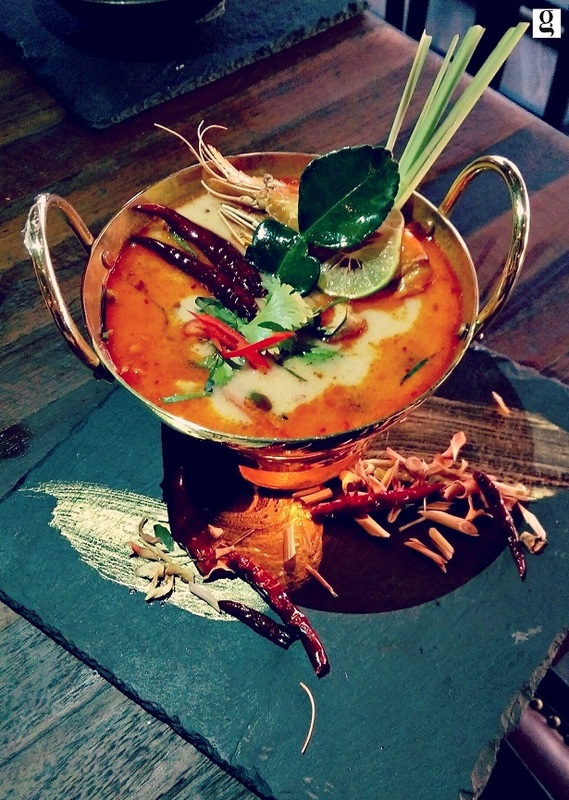 Thai street food is very well-known throughout the world for its complex blend of spices, herbs, and flavours. 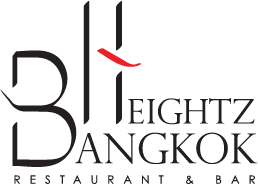 Bangkok Heightz has taken these traditional, old-age recipes and further developed them for better flavours and presentations, elevating authentic Thai street food to a completely new level of taste and dining experience. 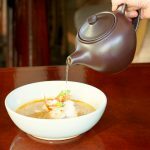 The concept of enjoying popular street food such as Phad Thai in a refined dining ambience offers diners a special dining experience for Thai cuisine. Why will you like Bangkok Heightz? 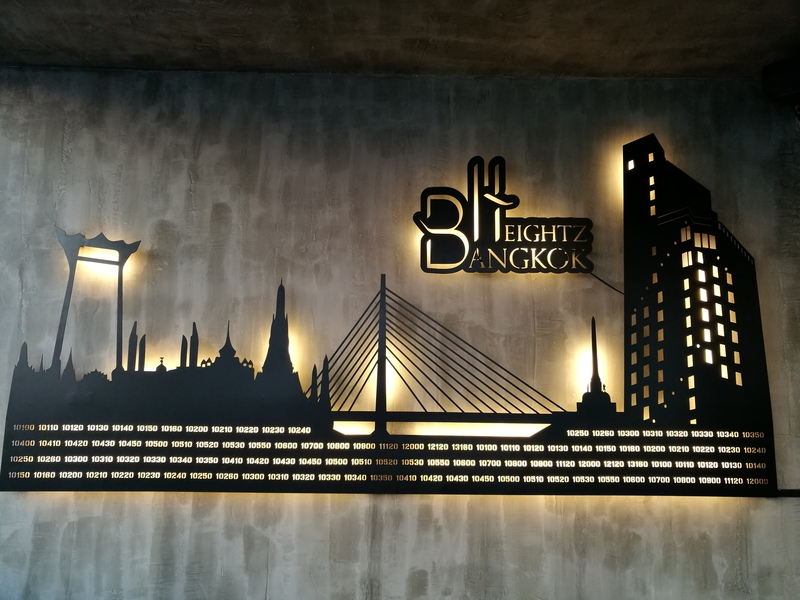 There are many Thai restaurants by the river or in traditional Thai houses; Bangkok Heightz offers a totally different dining ambience for Thai cuisine, rendering diners a magnificent view of the vibrant city centre. 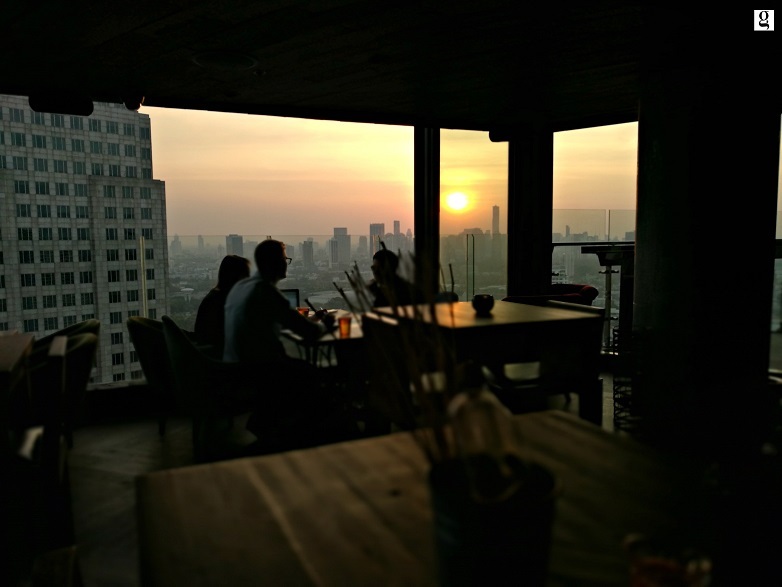 I especially like the magic moment of sunset witnessed at Bangkok Heightz, making it one of the best romantic dining venues. 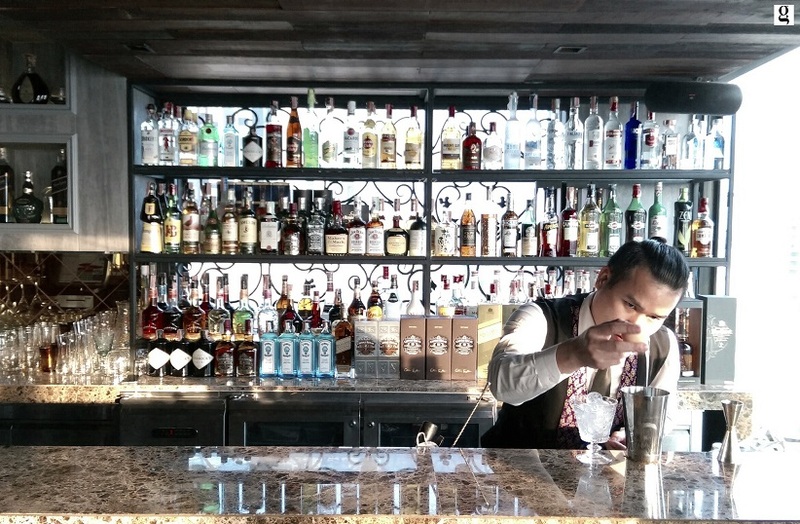 An experienced mixologist has created a unique cocktail menu, of which many cocktails show the influence of Thai culture and traditional ingredients. 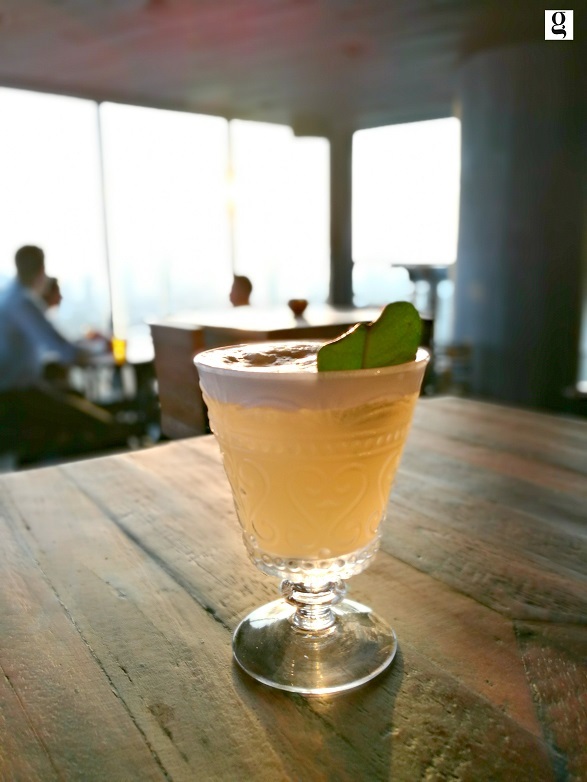 We have tried Muay Thai Mule that contains house gin infused chili, lime juice, fresh pimento ginger. The presentation fully expresses its name. The chili-infused gin was like a sudden, beautiful strike to the taste buds. 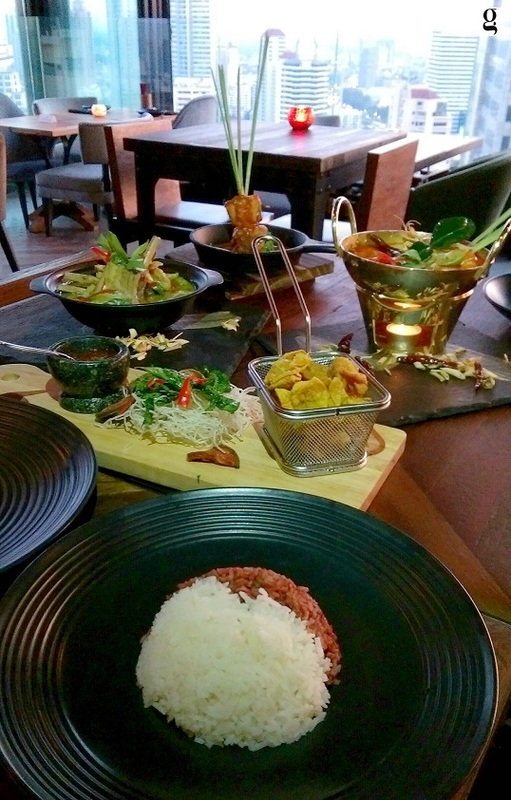 Together with other traditional Thai cuisine ingredients, this cocktail is a lovely starter for a romantic night. 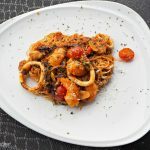 The a la carte menu at Bangkok Heightz offers the most popular kinds of traditional Thai dishes such as Phad Thai, Thai Green Curry and Tomyum Kung. 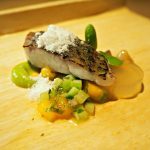 Twists on these dishes come when a number of options for the main ingredients are available for choosing. Take, Thai Green Curry, for example, you may choose pork, chicken, beef, and even Australian lamb rack as the main ingredient. Of course, it also denotes a slight change in the price. 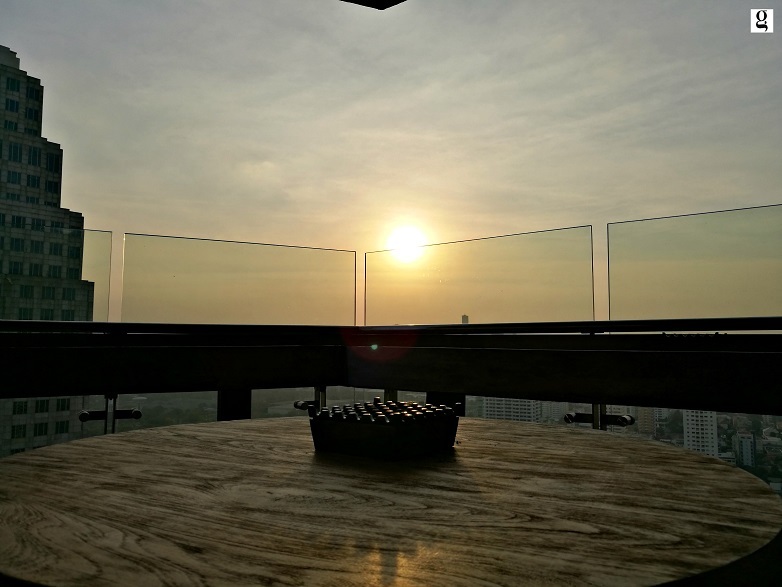 You may feel excited to learn that Bangkok Heightz is also a sky bar. 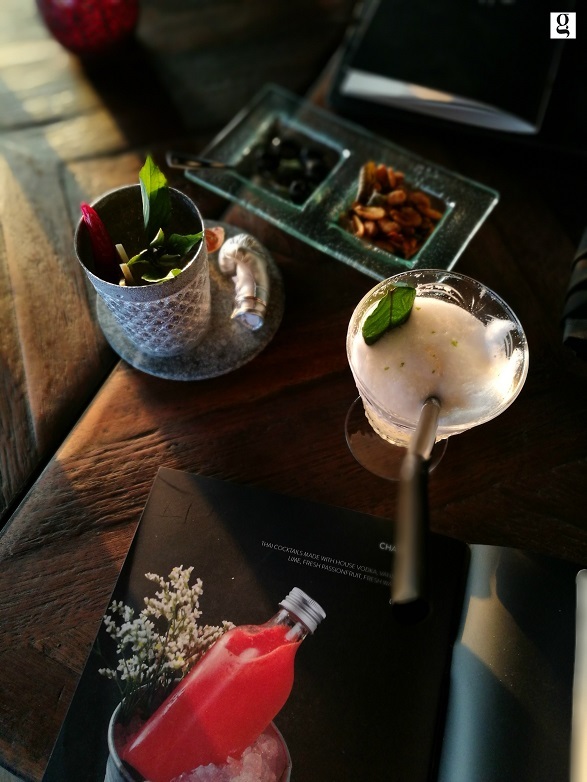 Not only are unique cocktails served there, but a professional house DJ also plays cheerful, upbeat music to create happy vibes in the restaurant. What dishes do we recommend? 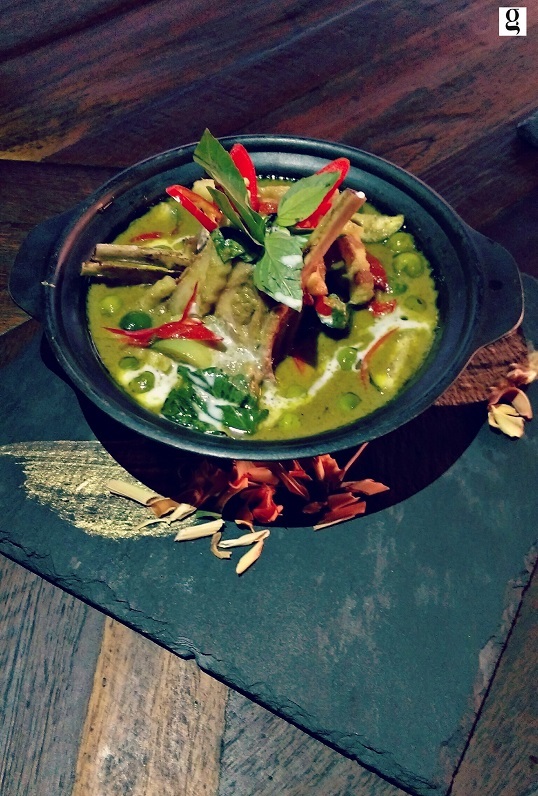 The green curry paste was made by the chef in-house using fresh ingredients, so the taste of the green curry was thick and flavourful. The Australian lamb rack was cooked just right to keep its tenderness and juice! To eat in a street style, eat the lamb rack with your hands and savour the juicy lamb rack with green curry. The portion of this dish is rather big, so it suits for sharing. The green curry sauce tasted flavoursome when eating with rice. Rice is served free of charge to all diners. When the main dish is served, choices for white and/or brown rice will be offered at the dining table for guests to enjoy their meal. 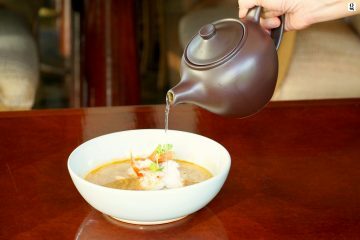 A Thai dinner will not be perfect without the traditional, well-known soup of Thailand – Tomyum Koong (Sour and spicy soup with prawns). This may look spicy to you, but the tastes of spiciness, saltiness, sourness and sweetness from all the ingredients were blended well. The coconut milk did not overpower the soup. It’s best to enjoy it while it’s still hot. I am visiting next month! May be I try it! Do they have any discount or special offer? 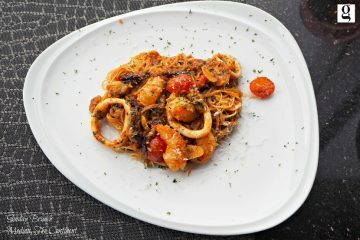 I don’t think they are offering any special discount now, but stay tuned with our website or Facebook fanpage https://www.facebook.com/GourmetBangkok, we will update latest status when special offer is on. 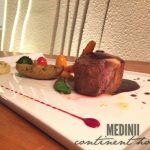 I have been to The Continent for the Italian meal, it was not bad at all! Is this Thai restaurant expensive?? Not expensive at all. The Australian Lamb rack green curry costs only THB 690. Portion is big too. I will try this restaurant when I come to Bangkok next month! Better go around 5-6 pm to see the sunset! The food looks yummy! Is it always full? Do I need to make reservation? 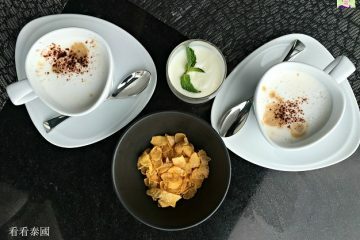 If you would like a table by the windows so as to get the best view of the city, advance booking is recommended. As there are limited tables, you may consider making a reservation at least 3 days in advance.